(Sherwood, Ark.) - The Pulaski County Special School District is proud to announce that we have two National Merit Finalists, both from Sylvan Hills High School. Andrew and Jacob Ponder were selected as finalists and the only two high school students in PCSSD to qualify in the 64th annual National Merit Scholarship Program. 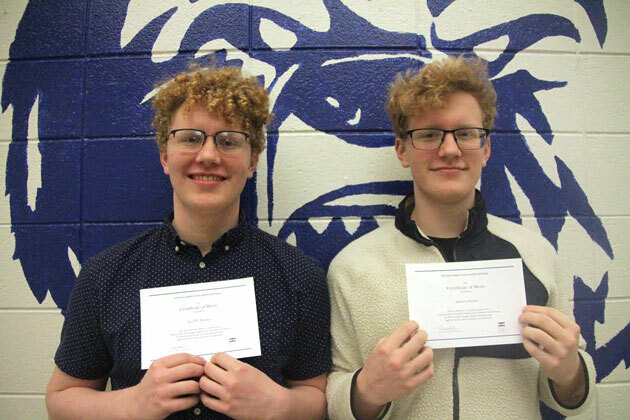 Jacob and Andrew are twin brothers who were among a group of three students from Sylvan Hills High School who were selected as National Merit semifinalists earlier this school year. Kyra Welch, a senior, was the third semifinalist from Sylvan Hills High School. As National Merit Finalists, several colleges have awarded them full scholarships to include, tuition, room and board and meal plans. National Merit Scholarship winners of 2019 will be announced beginning in April and concluding in July. These scholarship recipients will join some 338,000 other distinguished young people who have earned the Merit Scholar title since its inception in 1955.